Business owners and key decision makers often wonder what the best server for a small business is. Most people would agree that choosing the right server for your small business can be a difficult process. We’re here to help you choose from a variety of options to ensure the server you choose matches your business needs. So what exactly is a small business server? A server for a small business can technically power all of these services and much much more. With a powerful enough server, you gain the capability to support all of these services simultaneously with virtualization technology at a fraction of the price it would cost your small business to order and configure separate servers for each service. An even better option than that would be to choose a cloud provider such as AtyxIT as we provide Cloud Services to small and medium sized businesses. Going the way of the cloud also drastically reduces the cost needed to order, configure, operate and maintain an on premise server. Our Cloud Solutions also reduce the amount of headaches your business will have to deal with as all servers are hosted on our own infrastructure which is carefully monitored and maintained by a team of experts you won’t have to pay a penny for. However, should your business choose to go with an on premise server anyway, or to utilize one in conjunction with our Cloud Services you will find some additional information on the best server for small business below. The main choice for small businesses when choosing a server would be choosing between a Linux or a Windows Server operating system. Linux is an operating system that was built specifically for multi-user server environments and is available in a large number of distributions. Popular Linux server distro’s include operating systems such as CentOS, Ubuntu, Debian, RedHat, CloudLinux and more. Microsoft Server on the other hand is a proprietary operating system designed for servers. It includes features such as the IIS Web Server, tools for virtualization as well as the Windows firewall and others. While administrating a Linux-based server is a headache for small business owners to take on for themselves, AtyxIT employs experts in both Linux and Windows that are there when you need them with our Managed IT Services. A server such as the Dell T130 can be more than enough when asked about the best server for small business. 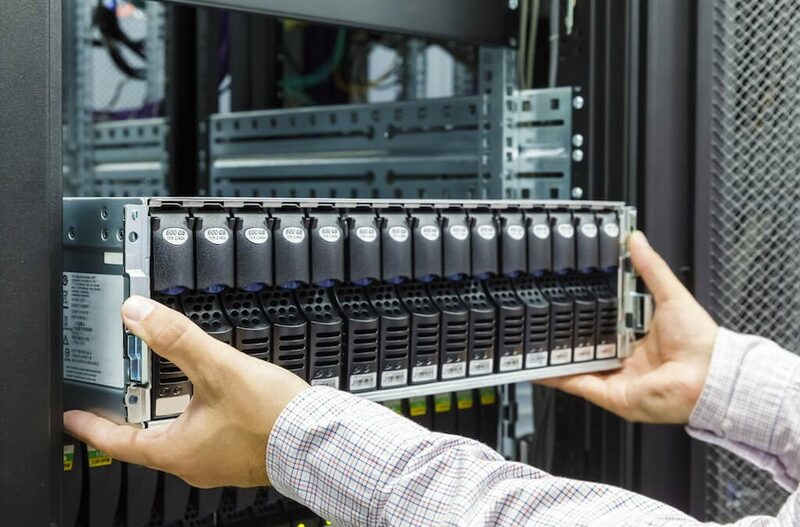 Depending on your business and current state of your technology, however, you may need to explore rack mounted servers such as the R710 and will need to know the exact configuration that you should choose (how many processors, how much memory, how much storage, user/server licensing, etc.). Contact AtyxIT today and allow us to come out to your business and help you with your Business IT Project.